When it comes to remotes, some of us here at EngadgetHD are partial to Logitech's Harmony models. The concept of "activity based" remote configuration and automation is a good one; even though we criticize Harmony, it's because we see potential, not because we're haters. Here's a criticism we have: issuing a laundry list of commands to switch activities is slow, and one thing users don't enjoy is maintaining a line of sight between the remote and the equipment rack while it issues all those commands. RF is a solution, but it's only available at the top of the Harmony lineup. Enter the Next Generation Remote Control Extender. It's a bit of kit that will "RF-ize" your standard IR remote (not just Harmony remotes); and we're big fans of "izing!" The basic functional setup consists of an RF transceiver, a RF-to-IR base station and a rechargeable 2/3-AAA size battery. 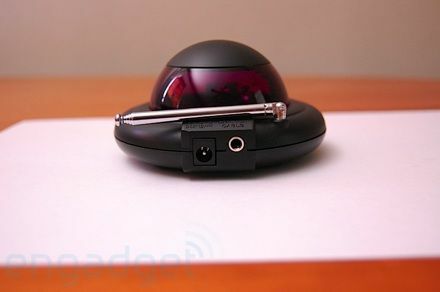 Next Generation also supplies an extra 2/3-AAA battery, an AAA-to-AA battery conversion sleeve, a single-eye IR emitter and a wall wart power supply. 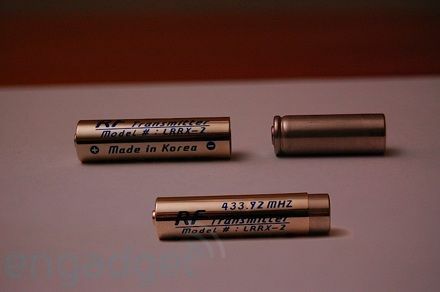 First up is the RF transceiver module which you couple with one of the 2/3-AAA batteries, and then slap the combo inside your remote as a AA or AAA replacement. It turns out that each IR command issued by your remote also produces a small amount of RF leakage that "looks" just like the IR command. So the transceiver handles the task of sniffing out this wimpy RF signal and forwarding it to the base station, effectively making your IR remote into an RF remote. Getting this up and running was trivial. First, slide one of the 2/3-AAA batteries into the sleeve of the transceiver. 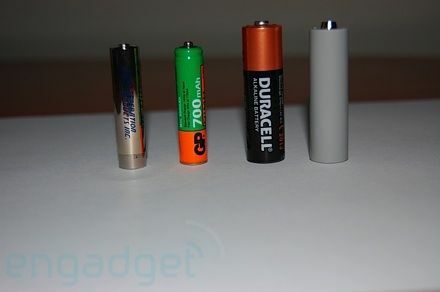 This combo is AAA-sized, so if your remote runs on AAA's, just replace one of the batteries with this. If your remote uses AA's, just put the combo in the included AA adapter. Then position the base station so that it can reach your components with either its blaster or your IR-emitter setup and plug in the wall wart. That's it -- enjoy your newly RF-ized remote. In our tests, the extender worked well. We got about 50-feet of range with a wall between the base station and the remote, which was more than enough for our purposes. Most importantly for us, using the extender made it so the remote did not have to stay pointed at the equipment rack to work. Admittedly, this is a bit of a workaround solution, but it's a pretty elegant workaround at that. 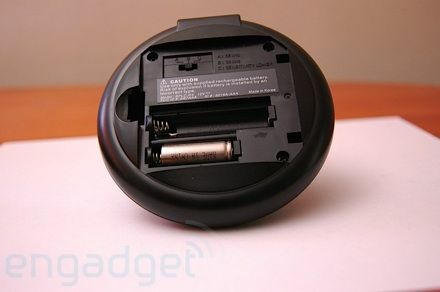 Even the detail of what to do when the rechargeable 2/3-AAA battery in your remote dies has been covered: two are included with the set, and the base station has a charger that you can leave one in, so you'll always have a charged one ready. In conclusion, if you're looking for a way to use your existing remote throughout the whole home, this solution will fall short if you have any walls in the house (we're guessing you do). But, if your remote only needs to work in one room or between adjacent rooms and you'd like to get beyond IR's line of sight limitations, the Next Generation extender is certainly worth a look.